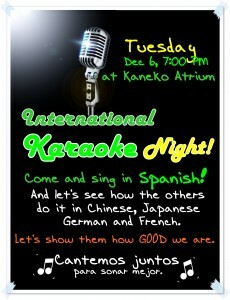 KARAOKE NIGHT this TUESDAY at 7pm!! Previous PostThursday Movie Night!!! !Next Post¡Felices Fiestas!